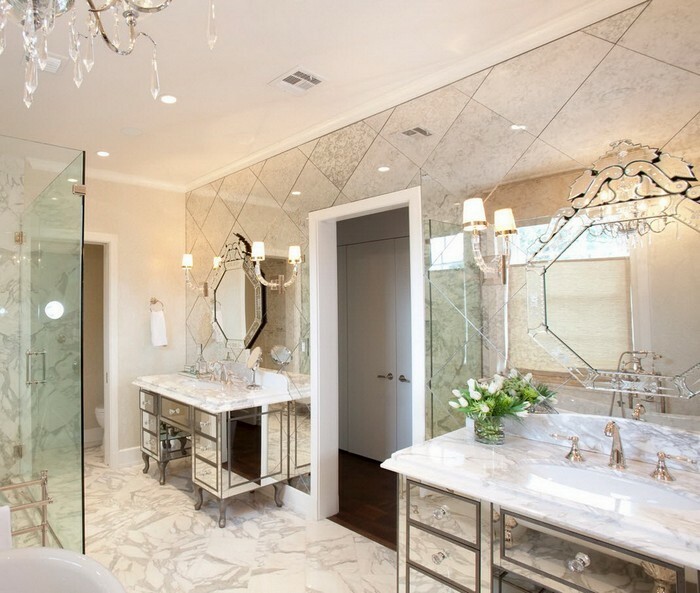 Perhaps, everyone knows about 3 important roles of mirrored surfaces in interior design. 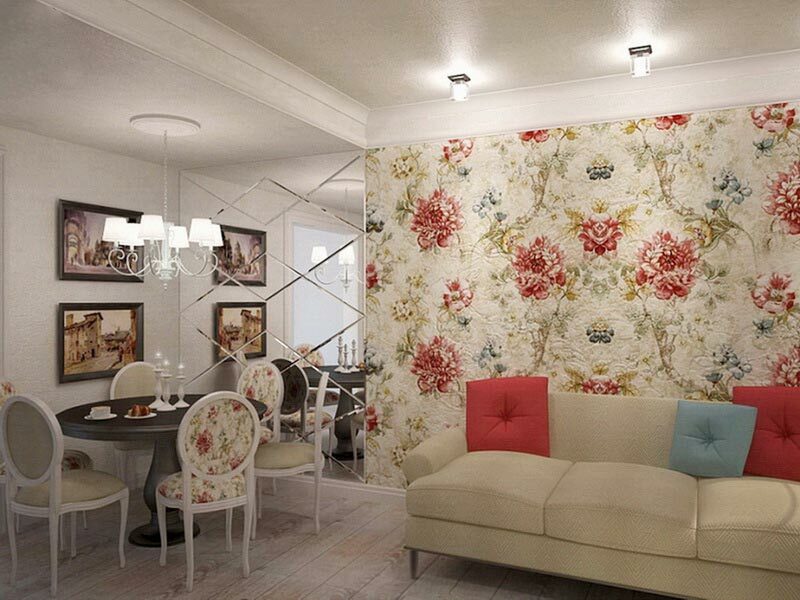 Firstly, they are irreplaceable when it comes to visual expansion of small and narrow rooms. 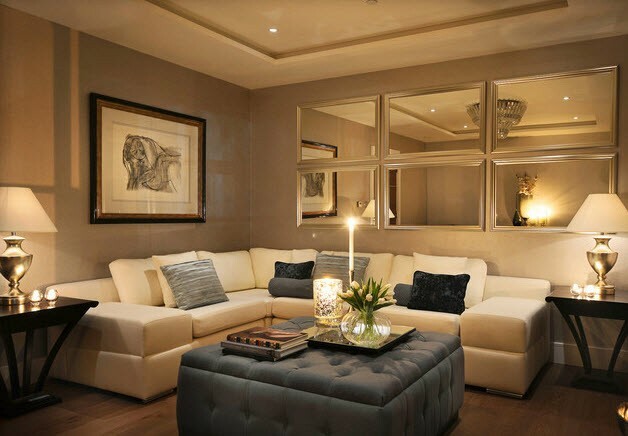 Secondly, they add the sense of light to dark interiors. And thirdly, they enhance the perception of reflected decorative elements. 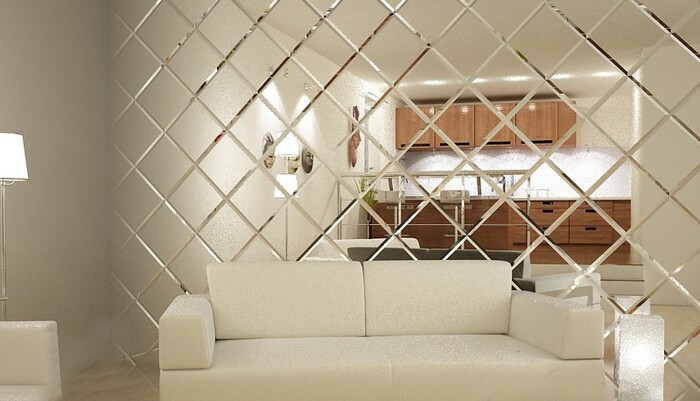 Thanks to modern technologies, making a mirror wall in the interior is not so complicated. 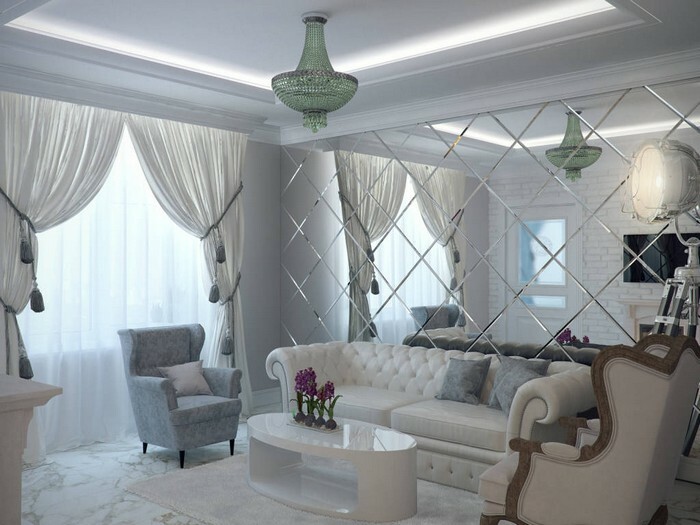 Today we will take a closer look at two popular finishing materials for creating mirror walls: plastic mirror wall panels and tiles. 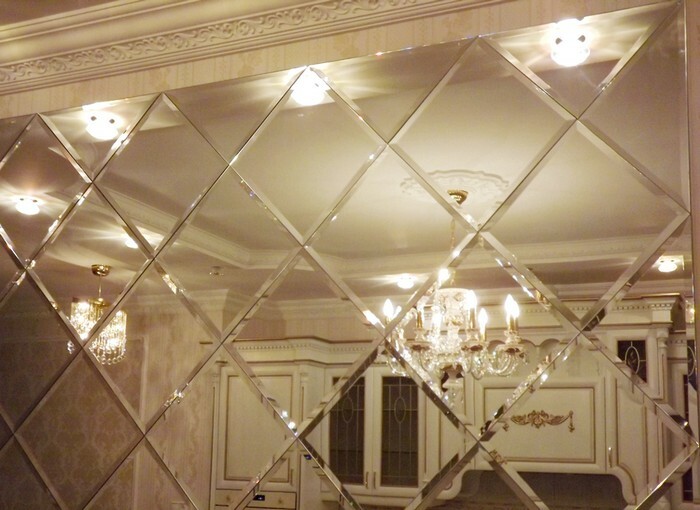 Many people often have a biased view of plastic panels, but despite a widely spread opinion there is at least one type of plastic panels, which looks absolutely good and elegant even in pompous classical interiors – a mirror one. Their only drawback is fragility and resistance to scratches. But this flaw is counterbalanced by moderate price level of the material and great room for imagination – its reflective surfaces can be decorated with any pattern to your liking. The installation process is quite easy and their field of application may be defined as universal. 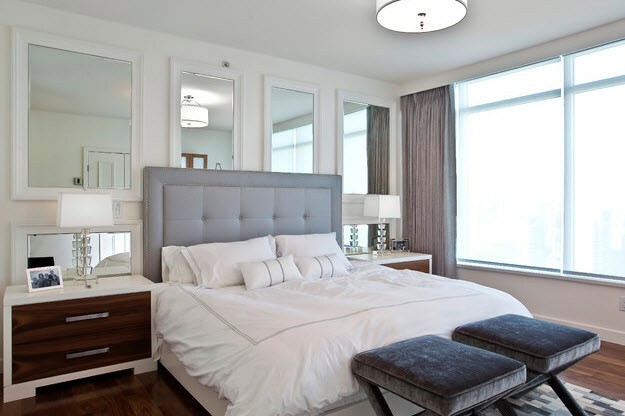 Still, it’s worth mentioning that mirror wall panels are not suitable for making fragmentary décor and finishing complex form surfaces: its sheets are intended for big-size use only. 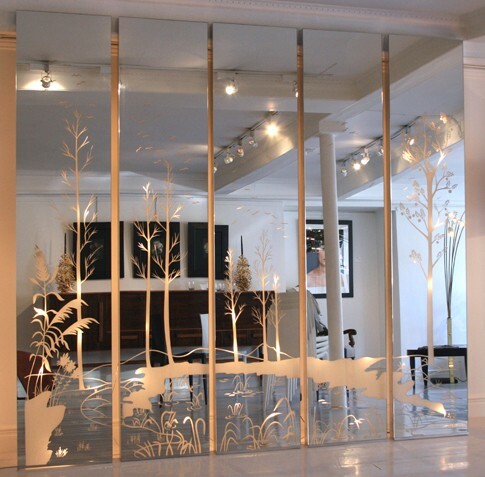 There are two ways to install plastic mirror wall panels – stick them to the beforehand prepared even surface with a glue, or secure them mechanically to the framework, which is especially relevant to uneven surfaces. Besides, the latter mechanical installation technology allows for masking utility systems and filling the walls with the thermo- and acoustic insulator. As a rule, they’re manufactured from glass or ceramics with a broad size range: you may buy 10×10 cm as well as 60×120 cm tiles. 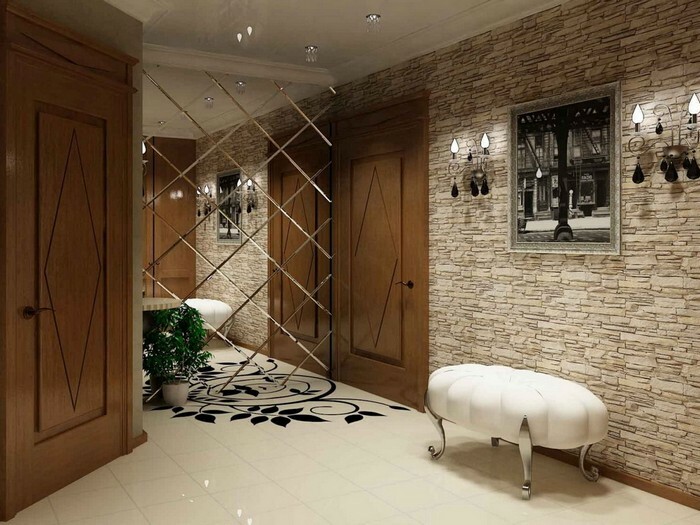 Big-size tiles look more elegant and realistic and are better for creating full-fledged mirror walls. 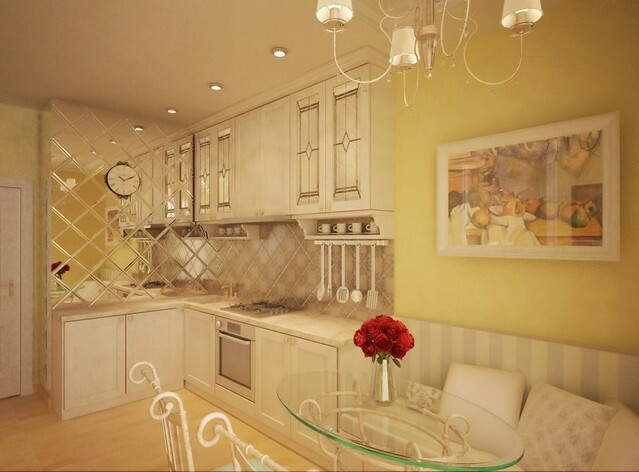 As for small tiles, they are more suited to small surfaces and fragmentary decoration, such as kitchen backsplashes. When choosing this type of finishing, it’s vital to find an experienced tiler, especially speaking of big-size pieces. 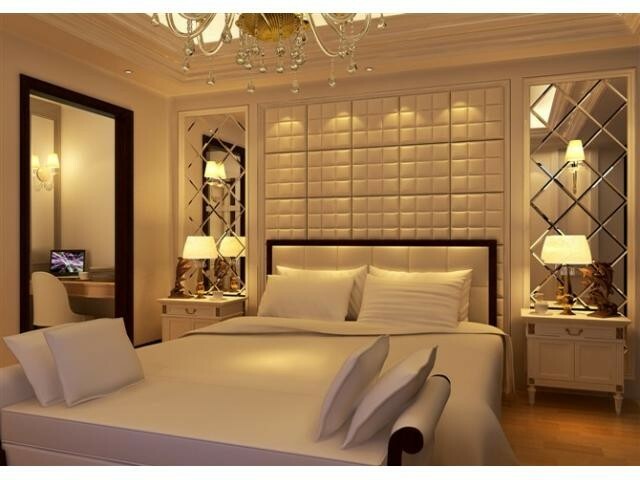 As for the interior style, mirror wall tiles are quite specific. Still, they’re welcomed in classical, neoclassical, loft and modern interiors, and practically any room of the house – from the hallway and bathroom to the kitchen and lounge. Anyway, wherever you want to apply mirror tiles, remember that it must be no more than one wall. 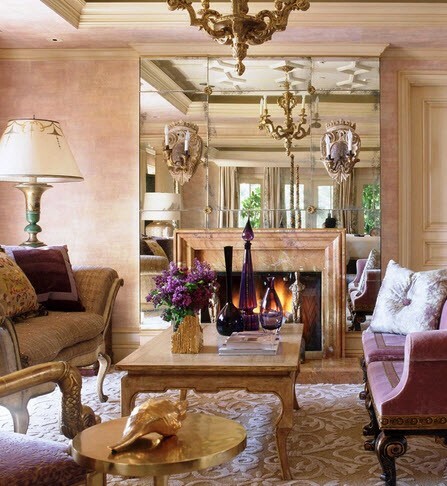 Traditionally, designers use mirror tiles for decorating the wall opposite the window as it visually expands the volume of the room and increases the level of lighting.